Raw sheep’s wool – minimally processed for home-spinning. Source: Etsy. The term wool covers a huge amount of ground. It can be applied to any yarn spun from hair growing on an animal. Fiber sources include sheep, goats, llamas, alpacas, camels, rabbits and even dogs. 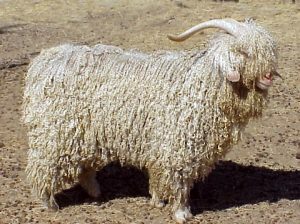 Angora comes from rabbits and goats and goats are also the source for most mohair out there – ditto cashmere. Merino come from certain breeds of sheep. Wool yarns can run the gamut from fine and soft to thick and coarse, as can the fabrics made from those yarns. Some folks make felt from their pets’ hair and then turn it into cute little miniature versions of the source, which I think is either charming or creepy, depending on my mood. As per silk, wool is a protein-based fiber. Also like silk, it can prove a bit pricey in its pure form, so you’ll often seen it sold as a blend at the fabric stores. Wool/acrylic blends are very popular for making clothing. Wool is a popular choice for suits and coats, as well as some casual garments. Who doesn’t love a cashmere sweater, right? Wool is warm – no duh – and so you should consider where you’re going to wear any costume you make from it. If you’re heading for an outdoor event where the climate is mild or cold, a woolen cape might be just the thing. If you’re expecting to stand in crowded convention hallways where the A/C gave out three hours ago, wool might not be a great idea. 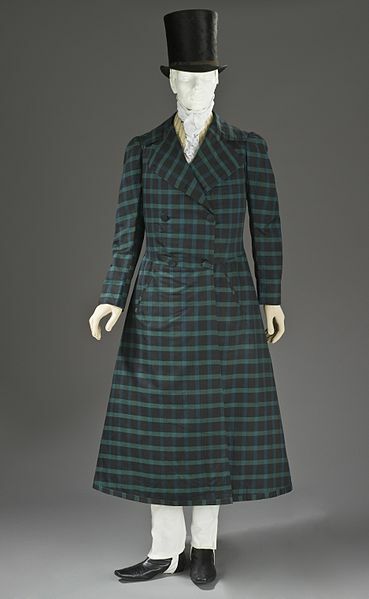 An overcoat from 1820 made of wool-cotton twill. Source: Wikimedia Commons. Wool shrinks like nothing else out there. Combatting that is one of the reasons that wool blends are a popular choice over 100% wool when making clothes. Heat and agitation are what makes wool shrink, so if you’re using wool – pure or a blend – plan on hand-washing it or taking it to a dry-cleaner. NEVER put wool in the dryer – not even on the ‘air only’ setting. Lay it out flat to dry, don’t hang it over a rail, as wool stretches when wet, but it won’t “spring back” when dry. And, to ice the cake, wool is one of those fabrics that will never stop shrinking if you keep abusing it. Cotton and silk and such will shrink a certain percentage, and then stop, no matter how much hot water you dunk it into or how many times you put it through the dryer. Wool won’t quit – it’ll get smaller, and denser and heavier every time. If you’re feeling masochistic, take a piece of pure wool fabric and throw it a hot wash and then toss it in the dryer. Whatever it was before you washed it, it’s well on its way to being felt, now. There are times when you might want that to happen – felting is a fun hobby – but you probably don’t want it happening to your costume. Wool takes dye very well, but because of the shrinkage issues, you must be careful to use the correct types of dye. Wool can provoke allergic reactions in some people. If you’re making a costume for someone other than yourself, be sure to ask them about possible allergies. Cashmere is an animal-hair fiber, sheared from the cashmere goat (picture below) and spun into yarn. It’s finer and softer than sheep’s wool and much warmer to wear – up to three times warmer than sheep’s wool. It’s also a lot more expensive, so you’ll often find it blended with other fibers – such as sheep’s wool, or acrylic – to help keep the cost down. Cashmere yarn is a popular choice for knitting and crocheting small goods and sweaters. 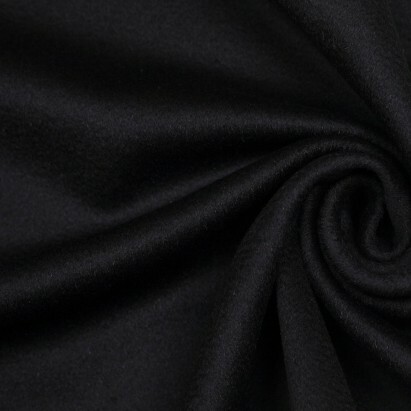 Cashmere fabric can be used in (expensive) suits and (even more expensive) overcoats. Mohair is an animal-hair fiber, clipped from the angora goat and spun into yarn. 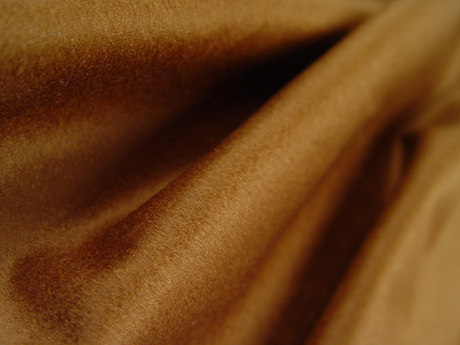 It is both soft and durable, and generally used as a luxury fiber. Wikipedia warns me that it should not be confused with angora wool, which is a yarn spun from the coat of an angora rabbit. It is often offered as a blend with other fibers, as pure mohair is relatively slippery and challenging to spin into yarn. Mohair yarn can be very fine, and it’s a popular choice for crochet and even lace making. Mohair fabric exists, but it costs a fortune. 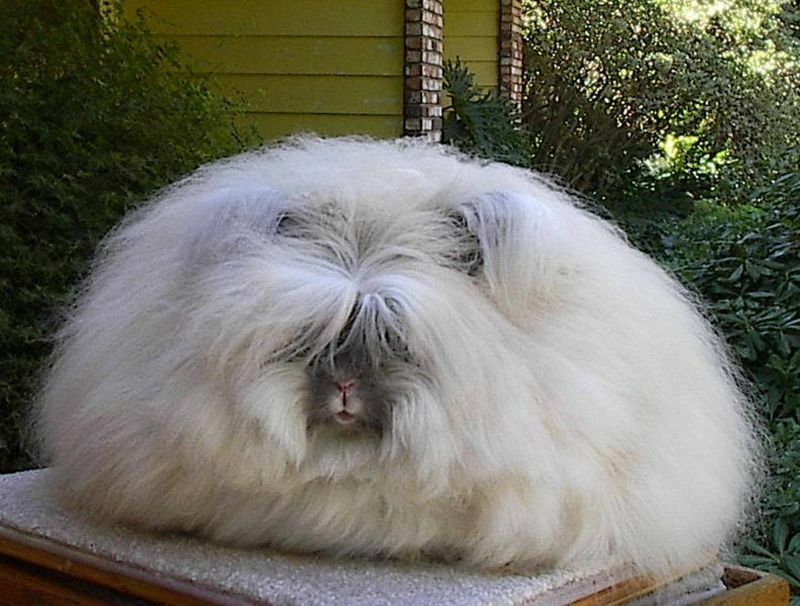 Angora wool is made from the floofiest creature on this planet: the angora rabbit. There’s a picture at the bottom of the entry – Word Press gets funny if I put too many images into too short a piece of text. Angora wool is as soft and as light as a cloud. Unfortunately, it’s also about as durable as said cloud. It isn’t very strong, compared to other wools, and it’ll turn to felt if you even think about dunking it in hot water. If it’s used in its pure form, it’s as a knitted or crocheted yarn in small goods such as scarfs or gloves or as embellishments for same. Because it’ll felt at the drop of a hat, angora wool is often used for that purpose to good effect. 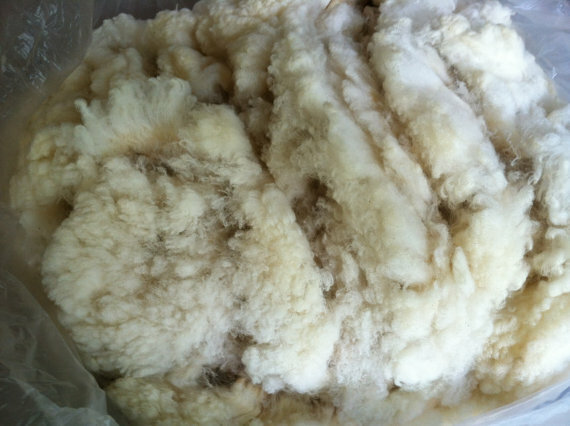 Blends of angora are used for making suit fabrics. Trivia note: angora is usually harvested by plucking the fur off the rabbit as it goes through a regular moult. I had a friend who kept angora bunnies and I helped with the task once. Part of the reason angora fiber costs so much is, man, it took a long time just to pluck six rabbits, and we didn’t seem to have a lot to show for it at the end. Said friend hoped to have enough for a scarf after several rounds of moulting and plucking but we lost touch and I never found out if she collected enough. Merino wool comes from – brace yourself – Merino sheep. The wool is a lot softer than other sheep’s wool and thus considered more desirable. Obviously, it’s a great for suiting fabric, but it also sees a lot of use in athletic/outdoor gear because of its excellent wicking and insulation qualities. 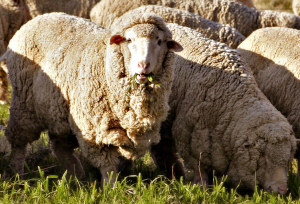 If you’re shopping for Merino wool fabric, beware of shady practices. Officially, a wool fabric can’t call itself Merino unless it’s 100% merino wool from a Merino sheep bred specifically for textile purposes (some Merino are bred for meat and produce lower-quality wool). Of course, there will always be scalawags looking to foist off blends or bred-for-meat Merino wool off as the real deal. If the price is too good to be true, don’t buy it. Chu’s Ashton, a prize-winning angora rabbit. Yes, that’s really a rabbit. Source: Betty Chu, Wikimedia Commons. Angora goat, source of mohair fiber. Not to be confused with the angora rabbit. Source: Wikimedia Commons. 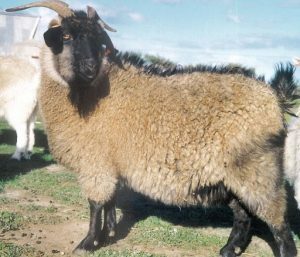 Cashmere goat. Source: Charles Esson, Wikimedia Commons.